Collection of package development tools. All devtools functions accept a path as an argument, e.g. load_all("path/to/mypkg"). If you don&apos;t specify a path, devtools will look in the current working directory - this is recommended practice. 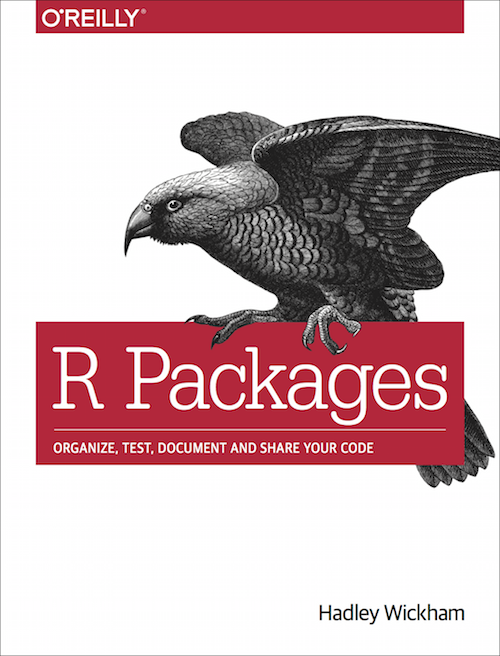 R Packages is a book that gives a comprehensive treatment of all common parts of package development and uses devtools throughout. The first edition is available at http://r-pkgs.had.co.nz, but note that it has grown somewhat out of sync with the current version of devtools. A second edition is under development and is evolving to reflect the current state of devtools. It is available at https://r-pkgs.org. The Whole Game and Package structure chapters make great places to start. revdepcheck: Running R CMD check on all reverse dependencies, and figuring out what&apos;s changed since the last CRAN release (i.e. revdep_check()). Generally, you should not need to worry about these different packages, because devtools installs them all automatically. You will need to care, however, if you&apos;re filing a bug because reporting it at the correct place will lead to a speedier resolution. dev_mode Activate and deactivate development mode. is.package Is the object a package? as.package Coerce input to a package. lint Lint all source files in a package. release Release package to CRAN. bash Open bash shell in package directory. check_win Build windows binary package. install Install a local development package. github_pat Retrieve GitHub personal access token. release_checks Custom devtools release checks. install_deps Install package dependencies if needed. submit_cran Submit a package to CRAN. system_check Run a system command and check if it succeeds. has_tests Was devtools installed with tests? run_examples Run all examples in a package. save_all Save all documents in an active IDE session. source_url Run a script through some protocols such as http, https, ftp, etc. check_man Check documentation, as R CMD check does. document Use roxygen to document a package. missing_s3 Find missing s3 exports. package_file Find file in a package. system_output Run a system command and capture the output. test Execute test_that tests in a package. uninstall Uninstall a local development package. devtools Package development tools for R.
reload Unload and reload package. check Build and check a package, cleaning up automatically on success.